“When the burglary occurred, the system sent me an immediate notification, I logged into the QNAP NVR VioStor VS-4008 Pro from home, called the police, and in five minutes I was able to send them the recorded evidence for their further investigation.” The day after the incident, the burglar was arrested. He was later sentenced to 15 months in jail. “Honestly, I don’t know what we would have done without the QNAP IP surveillance system and our Y-cam network cameras,” Shah concluded. Background The Financial Partnership LLP, located on the outskirts of London, is a young, dynamic firm of accountants and business advisors who have helped improve the performance and profitability of many businesses. Moving into the new Richmond office location at the start of 2010, Managing Director Jeyayesh Shah noticed there was no security system, and he began to worry about maintaining a secure environment for his staff. The new IP surveillance system chosen by The Financial Partnership LLP consists of 12 Y-cam indoor and outdoor cameras, which are managed by an open platform NVR server VioStor VS-4008 Pro. “It only took us a couple of hours to finish the installation and set-up at vulnerable points around the building, and then we were ready to start monitoring,” recalled Mr. Shah. “A crucial value-added feature that QNAP convinced us to purchase is their storage solution for end-users. 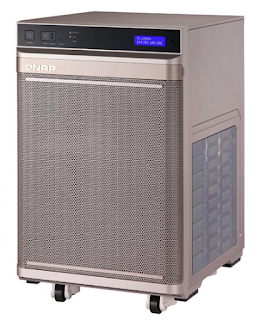 We have a number of computers which contain all our clients’ private information, and we made backups of everything important on the QNAP TS-419P Turbo NAS. This saves precious time because we don’t have to learn different operating systems and interfaces,” Mr. Shah added. Looking at the camera system design, 2 Y-cams are located outdoors, one monitoring the front door and the other watching the car park and back entrance. In addition, 10 indoor cameras are installed around the entire building. 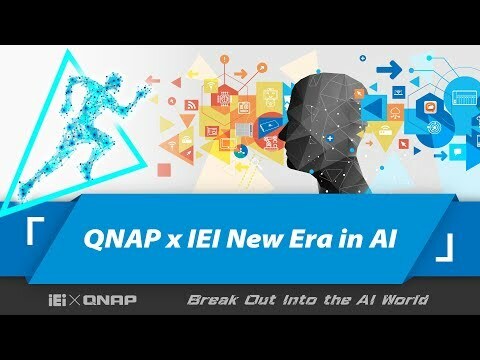 The next step was to turn on the QNAP NVR box and automatically connect all the cameras together. Live viewing and recording at 30 frames per second is required at important entrance and exit points and 15 fps is sufficient for indoor views. The 4-drive VS-4008 Pro provides at least 6 TB of storage space, which is also flexible based on the system design. Y-cam Solutions delivers simple and affordable products to help you keep an eye on your home and loved ones. We ensure that each individual member of the Y-cam team is aligned with our vision, and this helps fuel our constant improvement and innovation – making certain that every product we release reflects our goal to make the Y-cam range accessible to all residential and small business customers.